Tokyo’s outspoken governor, Naoki Inose, who heads the city’s bid for the 2020 Olympics, apologized on Tuesday for “inappropriate” comments he made about rival candidate Istanbul and Islamic countries. The remarks, made in a recent New York Times interview, prompted the International Olympic Committee (IOC) to investigate, while Turkey’s sports minister said they were “unfair and disheartening” and “did not comply with the spirit of the values of the Olympic Movement”. 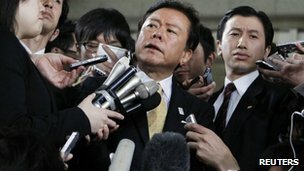 “Islamic countries, the only thing they share in common is Allah and they are fighting with each other, and they have classes,” Inose, who was elected Tokyo governor last year, said in the interview. TOKYO — The government said in a statement Friday that it is “regrettable” that a section of a Japanese cartoon has sparked an outcry in the Muslim world and stressed the need to foster understanding to prevent similar incidents in the future. The statement came a day after Japanese publisher Shueisha Inc and Another Push Pin Planning Co, which created the animated images, apologized for offending Muslims but insisted the detail had simply been overlooked and there was no intention of showing any disrespect for the Quran. At issue is a 90-second segment from “JoJo’s Bizarre Adventure”, which depicts Dio Brando, a villain, picking up a Quran from a bookshelf and apparently examining it as he orders the execution of the hero and his friends.